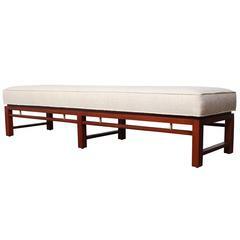 A rare bronze and leather bench designed by Warren Platner for Lehigh Leopold. Pair available. Good original condition with patina to the frame and wear/stains/scuffs to leather. A lounge chair in mohair with nickel frame. 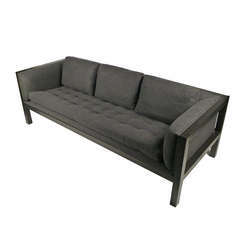 Designed by Warren Platner for Knoll. 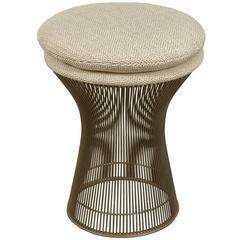 Platner for Knoll high-stool with original wool fabric, early production stamped Knoll 1973 electronically welded metal. This dates 1960s. It is bronze patinated, not paint like the newer versions. We only have one available. Large Warren Platner lounge chair 1966 for Knoll International This chair was produced in 2010 and is in perfect condition.